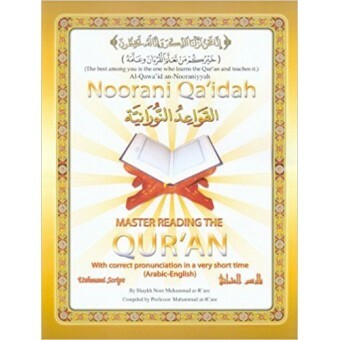 Norani Qaedah-القاعدة النورانية - Rapidly Master Accurate Pronunciation for Proper Recitation of the Qur'an! Mastering the art of Qur'anic recitation and rules of Tajweed is no easy task for any Muslim, particularly if Arabic is not his or her native language. This well-known program, Noorani Qaidah, a staple of Tajweed students for over 20 years, has been proven immensely successful throughout the world due to its incredibly proven effective and comprehensive methodology. 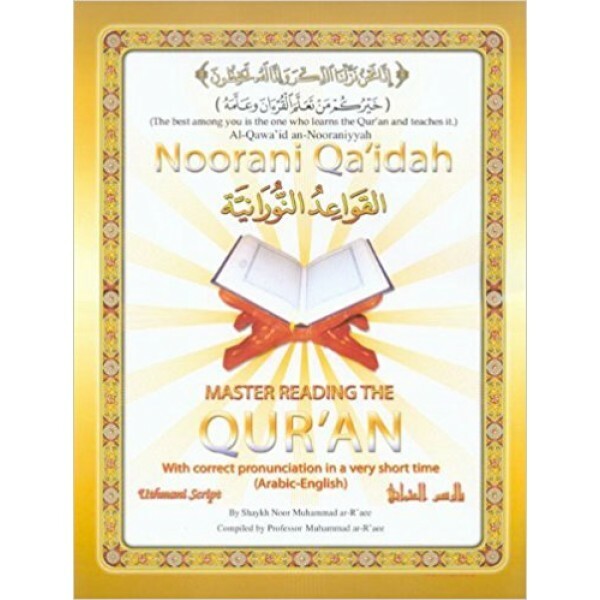 Numerous prominent Qaris (reciters of the Holy Qur'an) have used this program with great success. Millions more have taken the lessons and learned how to read the Qur'an quickly and thoroughly. The ease in which the Tajweed rules are taught makes this the ideal method for any Muslim to learn how to read and recite the Qur'an in record time. What's more, you don't need to know a word of Arabic in order to master this program, yet when you're finished with it, you will be able to read and recite the Qur'an from cover to cover. This item is only for the book which is included in the full album found under the related items. This book can be used by itself or with help of a teacher.